I got a couple more vehicles for my German Bolt Action army in the form of another Hanomag and a Puma armoured car. 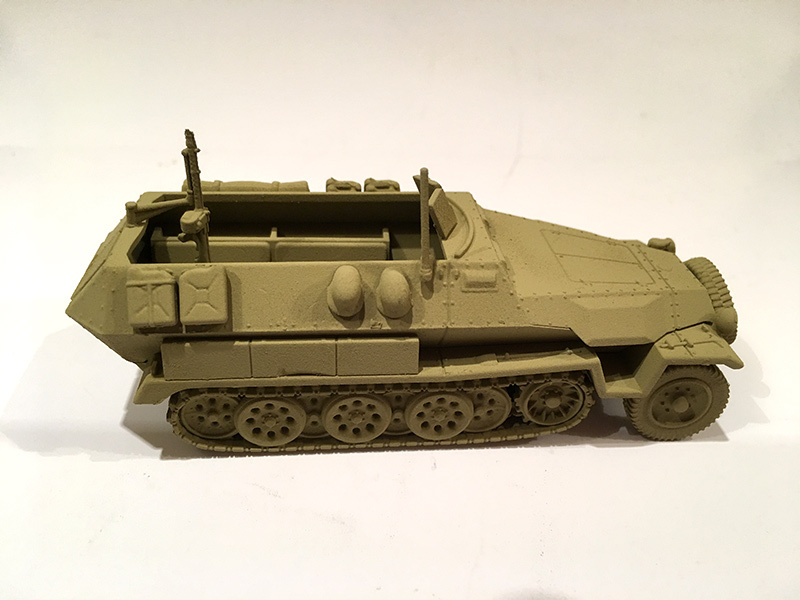 Warlord Games/Italeri do a coupe of Hanomags, the Sd.Kfz 251/1 Ausf D with the sloping back and the Ausf C with the diamond-shaped back. Both come in the same configurations with double mounted machine guns. I already have the ‘D’ so added the ‘C’ to my collection. You can see the unboxing and construction video below. 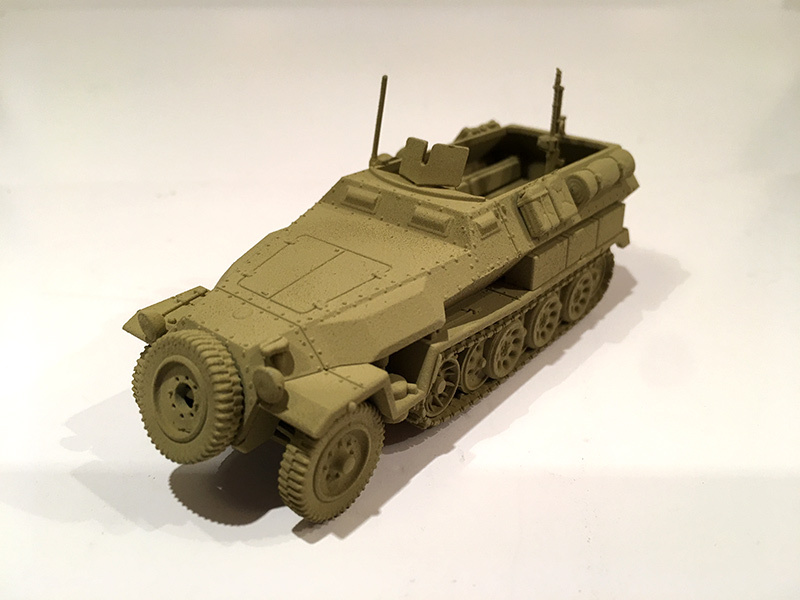 The Hanomag is built and undercoated in grey , I then ran over it with a base coat of Tamiya acrylic dark sand. It’s just waiting for me to get round to adding the shading and weathering.